In this episode, I interview Jeffrey Rohrs, co-host of the Social Pros Podcast and author of the new book, Audience: Marketing in the Age of Subscribers, Fans and Followers. He’s also the vice president of marketing insights at Exact Target. Jeff shares why an audience is so important for marketers. You’ll learn about seekers, amplifiers and joiners and how these audience types relate to your business. Jeff explains that in his book Audience, he homes in on the concept of proprietary audience development. It’s what people in social media, email marketing and even mobile have been doing, but he approaches it from a different angle. Jeff's book, Audience, focuses on the concept of proprietary audience development. When Jeff talked to marketers about their audiences, which included Facebook fans, Twitter followers, YouTube subscribers and email subscribers, they didn’t seem to have a strategy. 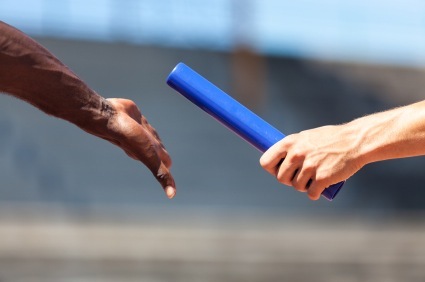 In most cases, strategy was an afterthought or the outcome of a momentary campaign. Marketing was traditionally organized around a campaign. Jeff refers to it as a beginning, a middle and an end, then a cake to celebrate the results and then repeat it. You’ll discover why audience development is a responsibility, primary to marketing. Originally marketers delivered the promise via email, but now you have to take that style of thinking into the social and mobile channels. Proprietary audiences will only be there if you build them. If not, you’ll have to pay in the form of advertising. Jeff’s message is to take a look at everything you do in marketing and try to optimize it to build a proprietary audience, because it gives you a huge competitive advantage. Before the Internet, creative thinkers only had to worry about great creative. They didn’t have to assemble an audience because mass media did that for them. The difference today is not only coming up with the creative, but also thinking about distribution and building an audience that belongs to you—one that nobody else has access to. So when you have that great piece of content, you are able to push the button and reach your audience. You’ll hear Jeff explain why it’s important for businesses to have people in charge of audience development across all channels. Listen to the show to find out why proprietary audience development is the flipside of the content marketing coin. Jeff explains that these are the three top-level audiences that marketers have exclusive access to. Seekers are people who look for information or for entertainment. 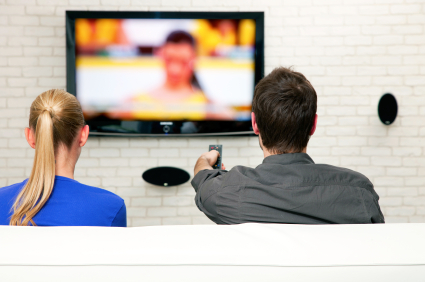 For example, you’re a seeker when you turn on your TV and flip through the channels to find something to entertain you. You’re also a seeker when you use Google or Google Maps. Search engine optimization is all about the process of delivering seekers to your website. Seekers are momentary. Once they have their fill of entertainment or find the information they need, they go away without a trace. You’ll find out what you need to do with this audience type. Amplifiers are what social media is built upon. It’s where your customers turn into your best form of marketing. Jeff refers to amplifiers as audiences with audiences. With fundamental communication models, there is usually a sender, a receiver and a message. The sender sends the message and the receiver receives it. However, the communication theory didn’t anticipate that the receivers themselves can then send their own message. Social media has changed this and has added another layer to it in terms of distribution and reach of these messages. Amplifiers are the ones you don’t have a direct relationship with. You have no means to reach them directly, unless you convert them into the third group, the joiners. They look for access to information and want to bring their first-to-know experience to their own audience. You’ll discover how to do well with amplifiers. A joiner is somebody who gives you permission to communicate with him or her directly through a specific channel. Jeff explains in his book that the ultimate joiner audience is the customers, because they purchase from you. Product-related messages open up channels for you to have communication with the customer. 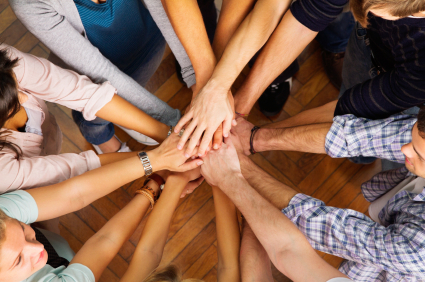 When you look at it from a marketing perspective, joiners are subscribers, fans and followers. These are audiences with whom you have a pushbutton relationship. They give you permission to send them an email, as long as you meet their expectations. You are able to communicate through this channel. You’ll hear why it’s a little different when it comes to Facebook fans and Twitter followers. Listen to the show to find out why you should think about the longer-term customer value. Jeff says you have got to look at it as a desired outcome and measure against that goal and objective. Jeff sees companies that implicitly expect to grow their subscriber base, fans or followers, but they don’t have an explicit plan to get there. One of the first things you will want to do to convert seekers is turn them into email subscribers. The inbox is critically important. The first thing you need to do is audit your website for the places that seekers come and look at what your capture mechanisms are. You also need to understand how you ask people to join your audience. You’ll hear about the three critical dimensions of an audience and how you can learn a lesson from social media companies. You’ll hear what Jeff advises people who challenge him on how to measure the value of Facebook fans. Although Facebook fans aren’t revenue producers for every brand, a company called PetFlow has used its Facebook page to grow its fan base astronomically. Facebook fans are a huge revenue producer for PetFlow. Jeff’s fundamental belief is that companies that focus on proprietary audience development in the years to come will be at a huge competitive advantage. He has already seen it with some of the bigger brands. In the coming year, Jeff wants to make sure that audience gets a lot more attention because it’s taken for granted that it just exists, and it comes at a cost. You’ll discover what you need to focus on so you don’t have to pay for expensive advertising. Listen to the show to learn about Jeff’s definition of proprietary. Over time you will start to see better results for less effort. It doesn’t mean you put in less effort, it means you are able to redirect some of the effort it took to get to the first 100 audience members and make it a lot easier to get to that first 100, plus the next 900. As you build your subscriber base, you touch more people, so when you hit Send on that email, it will impact your sales directly and faster. You’ll learn how to calculate the value of your audience. Jeff uses an example from the book about Netflix, when they lost about 4-5% of their subscribers. Their market cap went down from around $300 a share to about $60. They lost about 80% of their market cap because of how they handled their audience. Netflix's valuation was impacted by how they handled their audience. Listen to the show to find out how Netflix course-corrected and recovered their stock back to around $360 a share, and what that means for how you manage your own audience. I’ve discovered a really cool free tool called SEMrush. You can type in the web address of any website, and it provides you with an enormous amount of intelligence in the form of charts and diagrams. When you click on Organic Research, it tells you exactly how many people have searched for that particular keyword phrase over the last 12 months. It gives you a lot more than just keywords. Organic keyword results for socialmediaexaminer.com. Keywords can be very valuable because you can go to your competitors that rank higher than you in the search results and you can see what keywords they rank on. One of the things that I thought was really cool is that it will show you what ads are running. For example, if you have a competitor that you know does Google pay-per-click ads, you can type in their domain name and it will show you all of the advertisements they are running. From a marketer’s perspective, you can do all sorts of research on what keywords your competitors are ranking on, what they are purchasing and what their ads look like. I strongly recommend that you check it out. You’re limited to how much data you can see for free, but it’s definitely worth it. The pure number of podcasters who will be presenting at this conference is impressive: Michael Hyatt, Cliff Ravenscraft, Chris Brogan Pat Flynn, Erik Fisher, John Lee Dumas, Jonathan Fields, Jay Baer, Dan Miller, John Jantsch, Amy Porterfield, Ray Edwards, Marcus Sheridan, Rick Mulready, Cynthia Sanchez, Greg Hickman, Jon Loomer and many others! This is an incredible opportunity for you to actually meet, rub shoulders with and get to know the people you listen to on podcasts. It’s going to be an amazing conference. If you’re interested, check it out. Connect with Jeffrey Rohrs on Twitter. 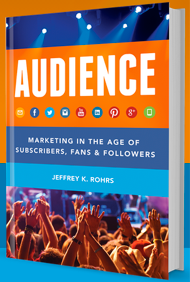 Check out Jeff’s book: Audience: Marketing in the Age of Subscribers, Fans and Followers, and get access to free resources on the website. 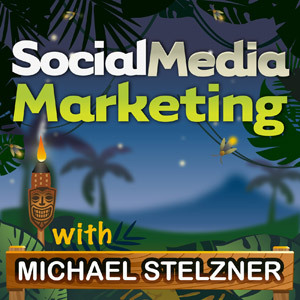 Listen to the Social Pros Podcast with Jay Baer and Jeffrey Rohrs. 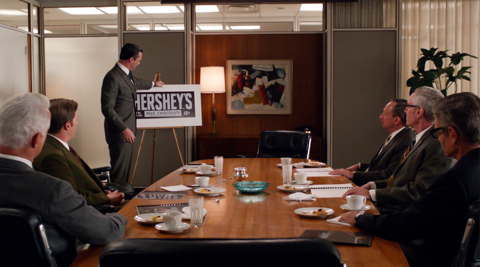 Learn more about the TV series Mad Men. 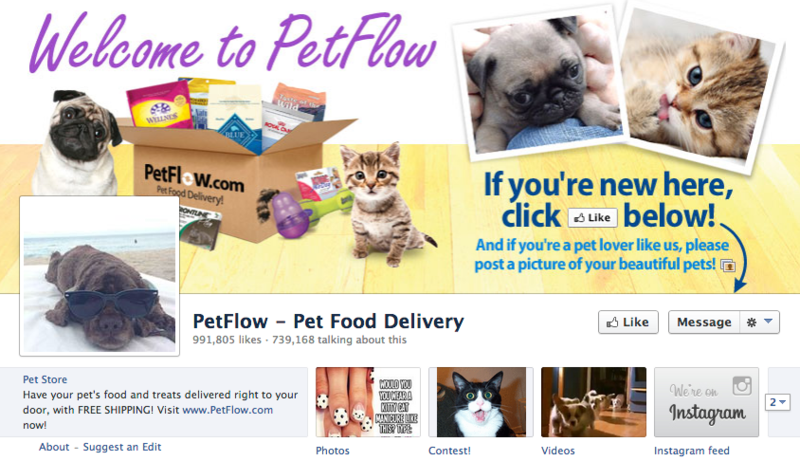 See how PetFlow has grown its fan base on Facebook. Take a look at the different audiences for Red Bull and Monster Energy. Try SEMrush to research your competitors. What do you think? What are your thoughts on growing your audience? Please leave your comments below. Images from iStockPhoto and Courtesy of AMC.